A nuclear reactor at Korea’s Kori Nuclear Power Plant was temporarily shut down at 1:18am on November 28 for apparent problems with its generation system. 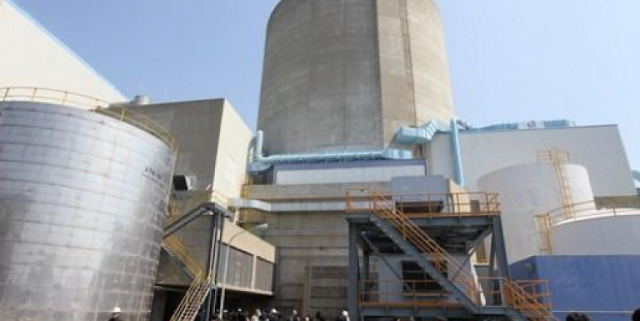 The operator, Korea Hydro & Nuclear Power, said there was no immediate danger of a radiation leak. Kori Reactor 1, the country’s oldest nuclear reactor, began commercial operation with a generation capacity of 580,000 kilowatts in 1978. Its original 30 year lifespan expired in June 2007 but was extended by 10 years in early 2008. This year the reactor went under a maintenance check for 176 days and resumed operation on October 5. The temporary shutdown of the Kori reactor raises an alarm of power shortages in the winter, increasing the number of nuclear reactors out of commission for maintenance or inspection to six. South Korea currently operates 23 nuclear reactors that generate about 30 percent of its total electricity supply. To make the situation worse, microscopic cracks in control rod tunnels at another were found hours after this reactor was shut down. The cracks were found in six out of 84 tunnels that guide the control rods at the Hanbit No. 4 reactor in Yeonggwang, Jeolla Province, about 350 kilometers southwest of Seoul. 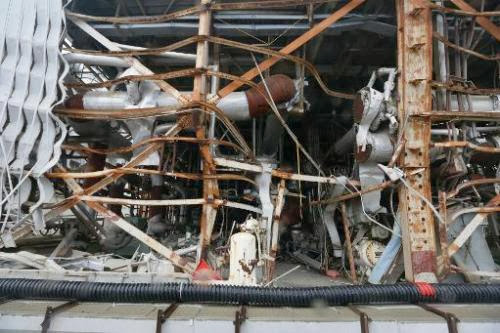 The operator, state-run Korea Hydro and Nuclear Power, said the cracks were found during a scheduled maintenance, adding that they do not pose any radiation risks, but could delay the resumption of operation by about 10 days. The operator had planned to resume the operation of the reactor on January 1 next year, when the scheduled maintenance is completed. Certainly a great rant. This guy can certainly talk non-stop and is not short of an opinion or two. How much of what he says can be substantiated I can't tell. For one I don't think that Fukushima is producing super-storms unless there is some extra energy in addition to the warmin oceans that I don't know about. A wheelchair-bound Canadian woman was denied entry to the United States this week because she was previously diagnosed with clinical depression. Now she wants to know why the US Department of Homeland Security had her medical history on file. 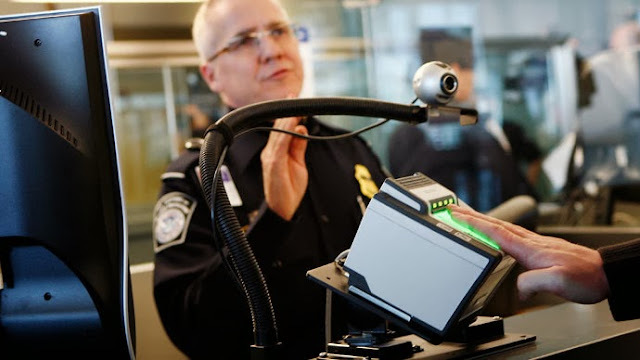 The Toronto Star’s Valerie Haunch reported on Thursday that 50-year-old author Ellen Richardson was turned away from the city’s Pearson Airport three days earlier after DHS officials said she lacked the necessary medical clearance to cross into the US. “I was turned away, I was told, because I had a hospitalization in the summer of 2012 for clinical depression,’’ Richardson told the Star. The woman, who has been paraplegic since an unsuccessful suicide attempt in 2001, was planning to fly to New York City to start a 10-day Caribbean cruisein collaboration with a March of Dimes group, and had already invested around $6,000 into the trip, she told the paper. “I was so aghast. I was saying, ‘I don’t understand this. What is the problem?’ I was so looking forward to getting away . . . I’d even brought a little string of Christmas lights I was going to string up in the cabin. . . . It’s not like I can just book again right away," she said. But according to what American officials told her, it would take the permission of US government-approved doctor and around $500 in fees in order to enter the country. Richardson soon left the airport defeated, but only afterward did she begin to raise questions about what the DHS knew about her. "It really hit me later — that it's quite stunning they have that information,” she told CBC. Richardson said she has been on numerous cruises since 2001, and traveled through the US for all of them. Only this week, however, did the DHS cite the June 2012 hospital stay, spawning questions about how much personal information American officials hold on foreign persons. According to Richardson, the border agent told her that the US Immigration and Nationality Act allows the government to deny entry to anyone with a physical or mental disorder that may pose a “threat to the property, safety or welfare,” and that her “mental illness episode’’ from last year warranted extra attention. “Medical records are supposed to be strictly confidential,” McGhee said. "We don't know how deep the connection is between US customs" and Canadian authorities, Richardson’s member of Parliament, Mike Sullivan, told CBC. With her story quickly going viral, however, others hope to soon find out the full scope of the data being managed by the DHS. “Canadians must be assured that their personal records are kept confidential, as intended,” Sullivan added to Hauch’s latest report. As RT reported previously, employees of the DHS’ Transportation Security Administration, or TSA, have access to huge databases, both federally and privately run, which contain information on travelers including tax ID numbers, past itineraries and even physical characteristics. As for hospital visits in other countries, however, Richardson and others generally expect that information to be not on file. This is the news that the government, media and nuclear industry would like you to forget. The alternative media is buzzing with concern over the precarious situation of Fukushima 4, literally balanced on a knife-edge after the initial earthquake and tsunami, but the commercial press maintains near-silence. Click below to listen to this segment of a popular KPFA radio program to learn more. Unfortunately, it’s hard for radio programs to publish transcripts of their content, so the material can’t be found in Google or referenced. So I can’t quote from yesterday’s Flashpoints program, I can only ask you to take a moment and listen to at least the beginning of it. If Disappeared News had time to do radio, I would want it to be like Flashpoints with Dennis Bernstein. But he’s already doing it. So please have a listen. The first part of the program is an update on how dangerous Fukushima Reactor 4 is, with Dr. Michio Kaku. The program mentions the impossibility of evacuating Tokyo’s 30 million people, representing 20% of the country’s population. The consequences of further nuclear disaster at Fukishima extend far beyond Japan, of course. China-Korea Cooperation on the Development of Ocean Monitoring and Prediction System of Radionuclides, 2013: In this study we are concerned with long-term oceanic-scale dispersion of Cs 137 released from the Fukushima Daiichi NPP. [...] the simulation is carried out up to 2041. 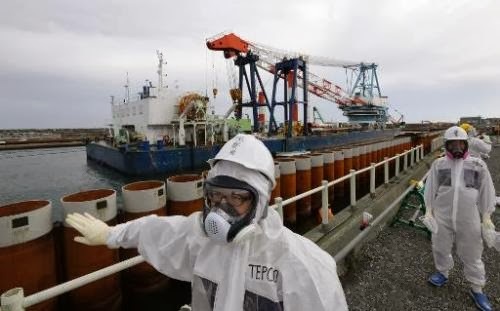 Typhoons that hit Japan each year are helping spread radioactive material from the Fukushima nuclear disaster into the country's waterways, researchers say. Contaminated soil gets washed away by the high winds and rain and deposited in streams and rivers, a joint study by France's Climate and Environmental Science laboratory (LSCE) and Tsukuba University in Japan showed. An earthquake-sparked tsunami slammed into the Fukushima plant in March 2011, sending reactors into meltdown and sparking the worst atomic accident in a generation. After the accident a large number of radioactive particles were flung into the atmosphere, dispersing cesium particles which typically cling to soils and sediment. Studies have shown that soil erosion can move the radioactive varieties of cesium-134 and 137 from the northern mountains near Fukushima into rivers, and then out into the Pacific Ocean. "There is a definite dispersal towards the ocean," LSCE researcher Olivier Evrard said Wednesday. The typhoons "strongly contribute" to soil dispersal, said Evrard, though it can be months later, after the winter snow melts, that contamination actually passes into rivers. Local populations who escaped the initial fallout two-and-a-half years ago could now find their food or water contaminated by the cesium particles as they penetrate agricultural land and coastal plains, researchers warned. Last year, the radioactive content of Japan's rivers dropped due to fairly moderate typhoons. 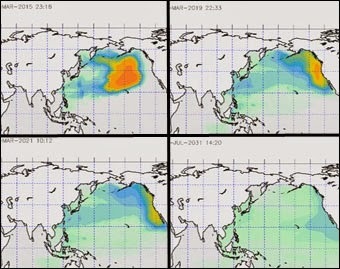 But more frequent and fierce storms in 2013 have brought a new flood of cesium particles. This is, said Evrard, "proof that the source of the radioactivity has not diminished upstream". 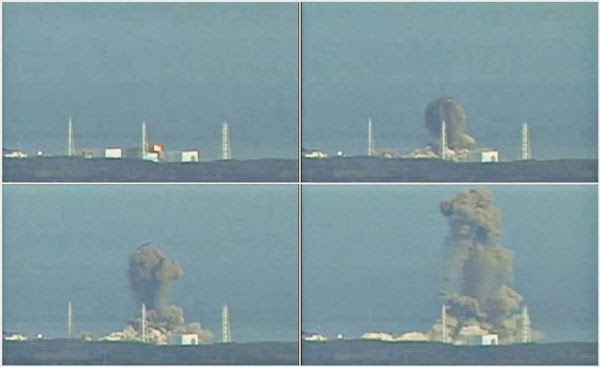 Tsukuba University has completed a number of studies on Fukushima since November 2011. Scientists "concentrated mostly on the direct fallout from Fukushima yet this is another source of radioactive deposits" that must be taken into account, Evrard warned. Coastal areas home to fishermen or where people bathe in particular face a potential risk. Tens of thousands of people were evacuated from around the Fukushima plant following the disaster and nearby villages and towns remain largely empty as residents fear the risks of radiation. The delicate process of decommissioning the site is expected to take decades. ‘Crazy, dynamic, unpredictable’ comet ISON still glowing, but is it still alive? 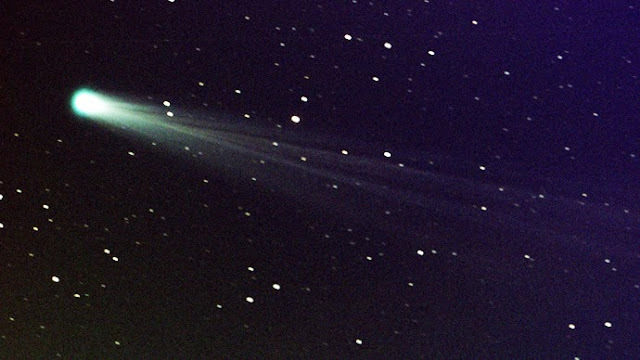 The unpredictable behavior of the ancient ISON comet has scientists scratching their heads, as the world’s space agencies had to quickly backtrack from their earlier claim that it had been destroyed in its encounter with the sun. The 2km-wide relic has been traveling to meet our star for over a million years. But the “dinosaur bone of solar system formation,” as senior research scientist at Johns Hopkins University, Carey Lisse, dubbed it, did not shine as bright after its slingshot encounter around the sun on Thursday, forcing scientists and stargazers to conclude the celestial body had lost its tail and nucleus. Karl Battams of NASA wrote on the space agency’s dedicated ISON blog about the confusion that the celestial body has caused. “After impressing us yesterday, comet ISON faded dramatically overnight and left us with a comet with no apparent nucleus,” Battams said, also mentioning the deluge of calls he and the team had received from reporters, despite not being able to provide them with 100 percent clarity. “As the comet plunged through the solar atmosphere, and failed to put on a show… we understandably concluded that ISON had succumbed to its passage and died a fiery death. Except it didn't! Well, maybe...,” he continued. There were conflicting theories about the comet’s fate, but what emerged later in the photographic evidence forced everyone to backtrack. The assumptions were dictated by the fact that traveling just over a million kilometers above our star’s surface would have melted all the comet’s ice at temperatures of over 2,000 degrees Celsius, while the sun’s magnetic field would have strongly influenced its behavior as well. But claims of the ISON’s demise were later challenged with photographic evidence, as scientists saw a faint, but still bright glow of what they believe to be a piece of the comet. Battams then went on to describe “a faint smudge of dust” visible in the images taken after the comet’s apparent exit from behind our star, which showed the faint glow traveling along ISON’s orbit. Admitting this could simply be a speck of dust, hopes were not high. However, the glow did not disappear. “We have a whole new set of unknowns, and this ridiculous, crazy, dynamic and unpredictable object continues to amaze, astound and confuse us no end,” Battams finished, asking everyone to be patient with further guess work. He added that if the glow is indeed the comet, we will be seeing it in the night sky in a matter of days. NASA was not alone in retracting its earlier assessments: the European Space Agency stepped back from its earlier claims of ISON’s end as well. However, scientists do not wish to make any further predictions as to its future at this point, because the comet could still just as easily stop releasing material and die out, if it indeed has not burned up after encountering the sun’s corona. Mainichi, Nov. 27, 2013: Under the bill, ordinary citizens who aid and abet or conspire with others in leaking information classified as special state secrets could face up to five years in prison even if the information were not actually revealed. If citizens were indicted for obtaining special secrets under the legislation, they could be convicted without the content of the information being clarified. ST. LOUIS COUNTY (KSDK) - There are radioactive secrets beneath the banks and waters of a north St. Louis County creek that may be linked to a staggering number of cancers, illnesses and birth defects. In four square miles, there are three reported cases of conjoined twins and cancer rates that one data expert says is statistically impossible. About two years ago, Janell Wright and several of her class of '88 McCluer North High School friends started wondering why so many of their peers were battling cancer. "Where it got to be suspicious is when we had two friends diagnosed within a couple of months of each other with appendix cancer. And both people were told that is a one in a million cancer," said Wright. Wright, an accountant and former auditor, started collecting data from her classmates. Soon, peers from neighboring schools reached out too. "On Facebook, it just took off like wildfire. People started reporting their cancers and auto immune diseases," Wright said. Wright became equally alarmed when data showed some of her classmates' children had serious medical problems too. "The children usually came down with brain cancer in the first 15 years of life, in addition, leukemia. In my peer group's children, there were several children who had to have their thyroid removed before they were 10-years-old," she said. Strange coincidence or was something else at play? Another classmate, Diane Whitmore Schanzenbach, is an economist at Northwestern University. She ran her own analysis and found the likelihood of so many cancers among her high school peers was .00000001. Schanzenbach called it a statistical improbability. Connected by Facebook, high school, and illness, the classmates made a startling discovery. The creek where they played as children carried a secret. In the 1940s, Mallinckrodt Chemical Works in downtown St. Louis purified thousands of tons of uranium to make the first atomic bombs. But the process also generated enormous amounts of radioactive waste. Sighting national security, the government quietly ordered the material moved to north St. Louis County in 1947. Twenty-one acres of airport land became a dumping site where a toxic mixture of uranium, thorium, and radium sat uncovered or in barrels. In the 1960s, government documents noted contents from the rusting barrels were seeping into nearby Coldwater Creek. And by the 1990s, the government confirmed unsafe levels of radioactive materials in the water. "You're having to grasp this idea that something was wrong. Nobody knew about it. Our parents didn't know, nobody knew," said Wright. Wright and the 2,000 people now on the Facebook page Coldwater Creek Just the Facts Please wonder if they inhaled radioactive dust that blew in from the dump, or swallowed small amounts of toxic creek water. Wright recently shared her data with the Army Corp of Engineers, which monitors the creek. Members of the Facebook group want the CDC to investigate their data and determine if there is a cancer cluster. They are currently trying to build their case in hopes of getting to the truth. Wright hopes she is wrong about the cancer cluster and link to Cold Water Creek. Her greatest fear is that she is right. Based on the latest data, the Army Corp of Engineers reports there is no contamination threat to current homeowners. And monitoring of the creek continues. Thirty people recently filed suit against Mallinckrodt and other companies. A spokesperson for Mallinckrodt, which is now owned by Covidian, said Mallinckrodt was not involved in the disposal or cleanup of the nuclear waste. Lynn Phillips from Mallinckrodt's Media Relations issued the following statement:" "The St. Louis Airport Site was used for disposal of demolition debris from buildings decommissioned and demolished nearly 50 years ago by a third party demolition contractor under the oversight of the U.S. government. Some of this debris was from buildings formerly used for uranium processing dating back to the 1940s at a Mallinckrodt site in St. Louis. The U.S. Army Corps of Engineers in coordination with the Department of Energy is now responsible for the environmental remediation of the St. Louis Airport Site, which includes Coldwater Creek, under its Formerly Utilized Sites Remedial Action Program. This remediation is nearly complete. Mallinckrodt is not involved in the remediation activities that have been conducted at the St. Louis Airport Site. " Click here to watch and read the second part of this investigation. Glenn Greenwald on sharp form, as ever, and the BBC interviewer, on this occasion Stephen Sackur, on woeful form, as ever. The last five-minute exchange, starting at about 19.20 mins, when Sackur ends up defending Britain’s security services against Greenwald’s charge that they lied during the Iraq war, is simply jaw-dropping in its asinine, dangerous complacency. How do these BBC mouthpieces have the nerve to call themselves journalists? The 3rd encampment in Mi’kmaq Territory, at HWY 11, which saw stand off’s between the Mi’kmaq peoples protecting the water and RCMP protecting corporate interests, is requesting widespread global support. 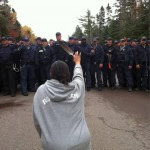 On Monday Dec. 2nd HWY 11 Land Defenders are asking you to show your solidarity by taking action in your community. Where possible, highway shutdowns are encouraged however any action of support, such as banner drops, are welcome. Fukushima - how much radiation?